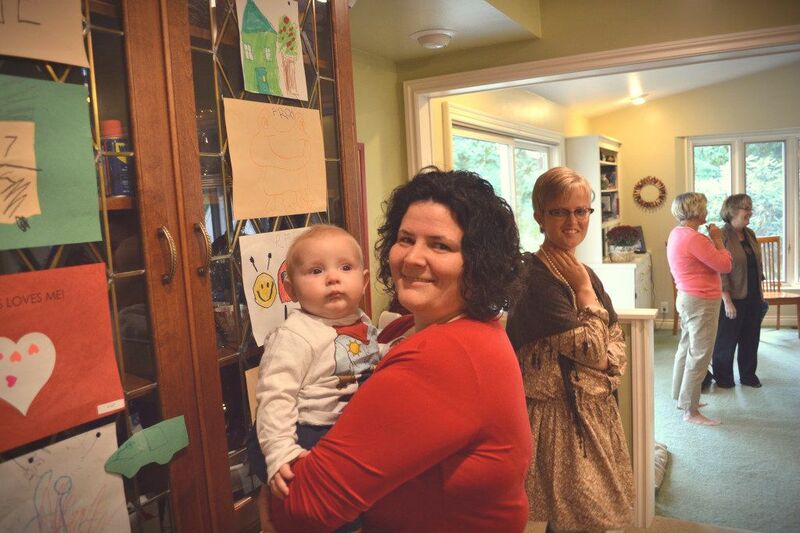 As everyone was leaving my adoption shower, a friend stepped close toward me and said gently, "You are welcoming your son into an amazing community." Not too long after we announced our decision to adopt, my friend Jessica told me that she would love to throw me a shower. I think it took me a negative second to say, "Yes!" I was hoping someone would want to, but trying not to get my hopes up because I didn't know if a person got a shower who wasn't expecting or adopting a baby. But Jessica took on the task with excitement and generosity. 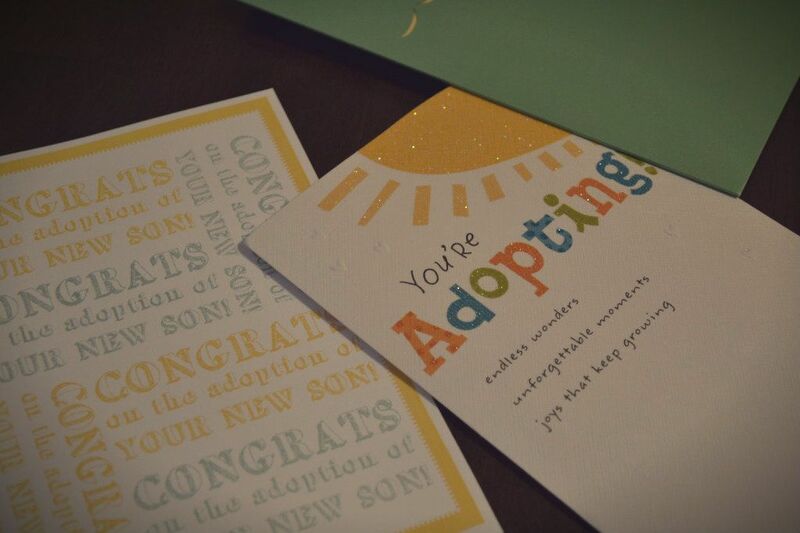 She even handmade every beautiful invitation because it seems "toddler adoption shower" is not a category in the invitation card aisle at Hallmark. She asked me all about what I loved at showers and how I hoped things would go. She planned every beautiful detail and wrapped it in joyful tenderness. My family drove six hours from their homes to mine to attend the shower. My dad, mom, sister, brother, and sister-in-law all squished (or took turns squishing) in a five-seater car to join in on the celebration. Though only the women attended the shower, my dad and brother stopped in briefly to meet the hostess and then carried on to spend the afternoon with John. I pulled up to Jessica's house in time to watch my family members unfolding themselves from the people-and-luggage-stuffed-car. After hugs all around we made our way inside where we were welcomed lovingly inside. We helped bring the last few plates of food out to the dining room as Jessica joked about making a mystery punch that might or might not turn out well (it did). Then the doorbell started ringing and I had the pleasure of welcoming guests into my joy. When everyone had arrived we made our way to the living room and sat down together. As Jessica opened with prayer she remarked beautifully about how all these women had gathered because they love me and they love John, but mostly- mostly- they had gathered because they love our son. I took a moment to scan the room as she spoke and saw on the faces of my friends and family the most beautiful gesture make its way around the room: they were nodding. This is beautiful: that they love him before they know they know him. He does not need to do anything for this community. He does not need to be cute and little or well-behaved or funny or smart. He needs only to be and he is loved. 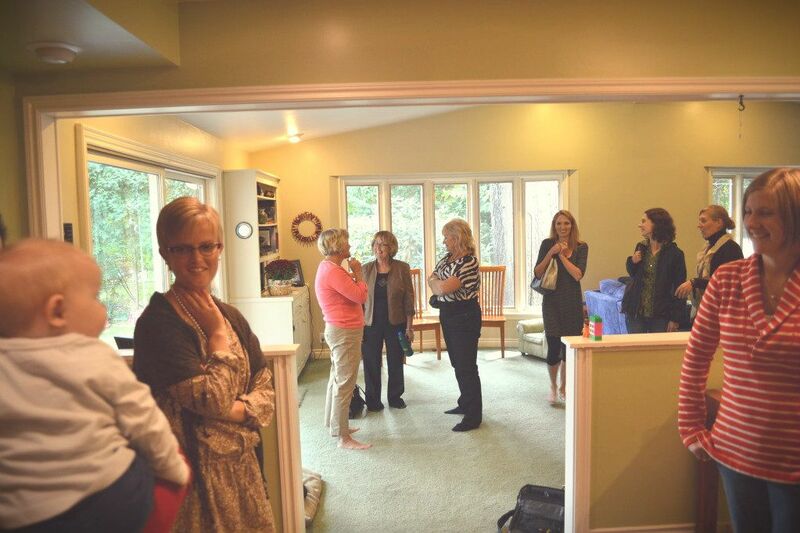 The women who sat in that room wearing tender smiles and nodding- they know Christ. They know themselves what it means to be loved just for being and they pass that gift on to my son with a grace that makes me cry. I could say amen right here but there is so much more to tell. We ate food. 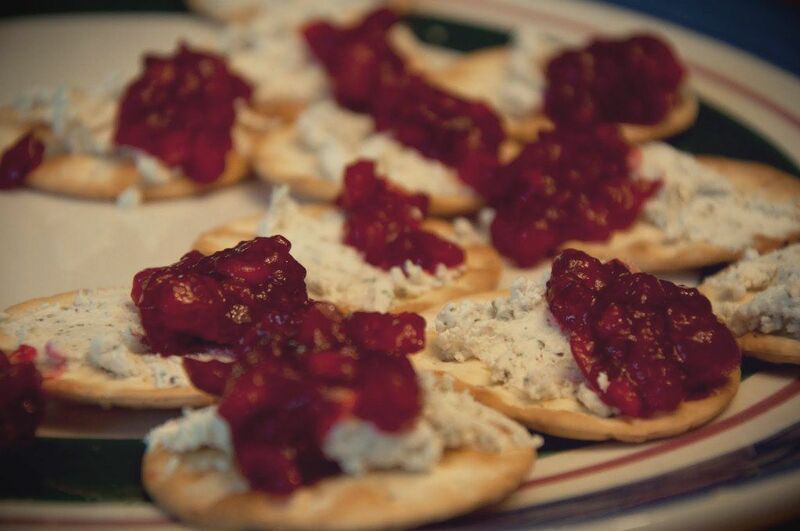 Four different kinds of cheese all matched with the perfect meat or cracker or sauce. Little baked treats from a new bakery because "local first" makes my heart beat a little faster. And fruit, and chocolate, and mint m&m's that got the most remarks of all. We played games, guessing the endings to nursery rhymes (Little Miss Muffet say on a tuffet, but does anyone know what a tuffet is, exactly?) and groaning as we learned that a baby elephant is just called a "calf." We really should have known that one. And then I got to open the gifts. And more. Much, much more. I saved all the bags and filled a 25 gallon recycling bag up just from the tissue paper involved. 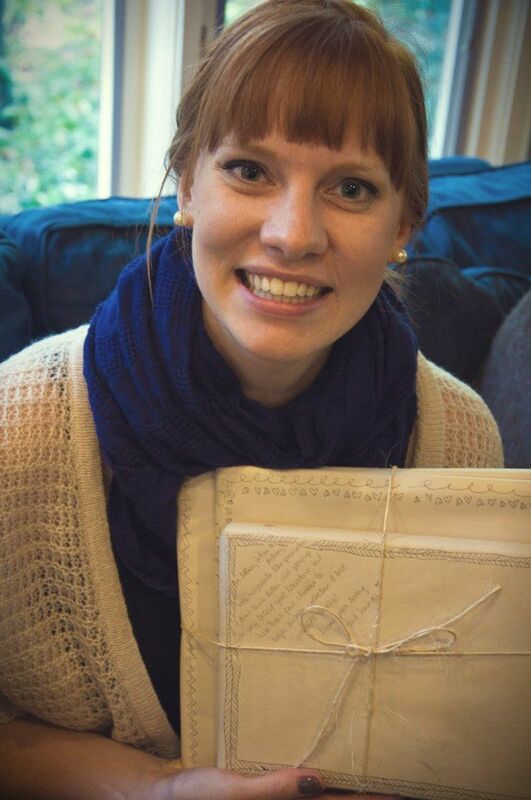 My friend Emily is another adoptive mom and she included a pair of pink pajama pants in my gift. I looked at her with curiosity as I pulled them out. She smiled and said, "Pregnant moms always get cute new pajamas; I didn't want you to miss out!" Emily, I love you. As John and I prepare to leave for our big court date in two short weeks I find myself leaning on the strength of my friends. I'm borrowing their faith when mine starts to waver. When I get tired of praying the same prayers over and over again, I rest in the knowledge that they are praying me through. This is the community we're bringing out little man into- one that knows love without condition. One that knows faith. One that knows joy. Lord, grant them that "yes" in October. I can't wait to hear that yes- that "da!" in October and know that we are so much closer to welcoming our son into this blessed community of love. And now I'll say- amen. So glad you got the shower of your dreams.. You deserve to feel special and blessed during this wonderful time. Thank you Bradey! I definitely feel loved!! What a perfect way to celebrate your adoption! For sure. It was the best antidote to my pre-court date nerves too! Not much longer indeed! We truly feel so blessed.